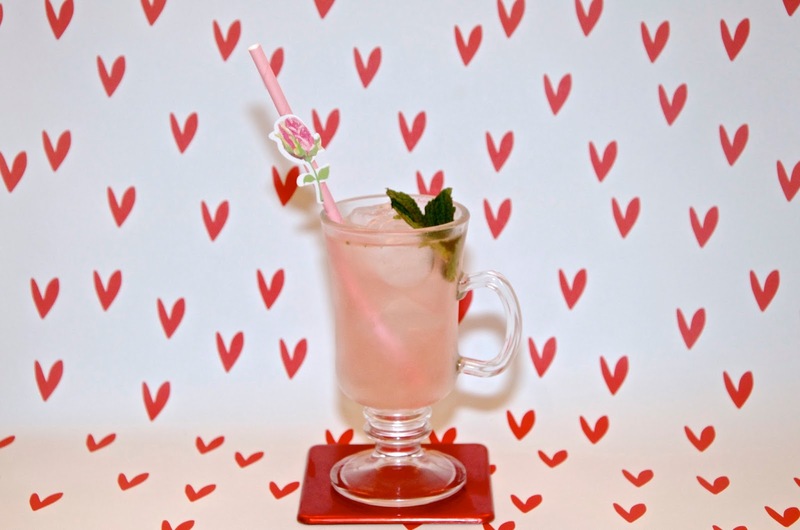 Just in time for Valentine's Day, I've teamed up with Edgerton Original Pink Gin to create three lovely cocktails for the most romantic day of the year. If you're celebrating with your sweetheart, you can't go wrong with one of these delicious tipples, but if romance isn't in the cards for you this year, not to worry... These pretty, pink drinks are perfect for girls' night, hen parties, Mother's Day, lunch & dinner parties or pretty much any other time. It's hard to imagine needing an excuse for a gorgeous, tasty, pink gin treat and these beauties are pretty easy to make too! A gin & tonic offers light & refreshing fizziness, but this version takes it one classy step further. Fragrant, beautiful and tasting like a rose macaroon, this chic tipple features dried rose petals to accessorize the already pretty in pink gin and it tastes just as gorgeous as it looks. 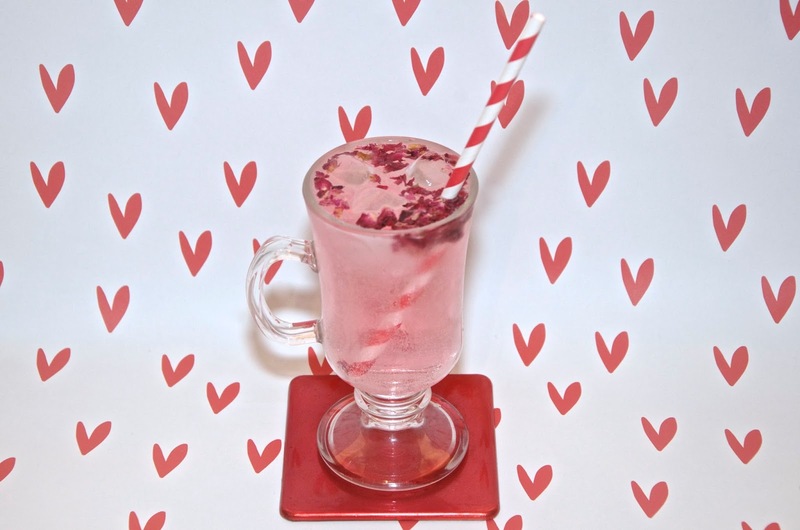 • In a tall-ish glass, tip in 1/2 teaspoon of the dried rose petals and fill the glass with plenty of ice. Pour in the gin and rose water. Top up with tonic and sprinkle the remaining rose petals on top. A Southside is typically a bit strong for my taste, but it's the gin-infused cousin of the Mojito. To lighten this up a little, I like adding a bit of fizz in the way of soda water. It's minty, refreshing and this version features a hint of lemon instead of the traditional lime juice. It's a nice update on the usual gin cocktails and packs a lovely flavor without being too strong. • Tear up a few leaves of mint and add to a cocktail shaker along with the gin, caster sugar and lemon juice. • Use a muddler to mix these ingredients together and mash up the mint. If you don't have a muddler (I don't) just use a fork or a wooden spoon. • Add the gin and fill the shaker with ice. Shake vigorously. • Fill a glass with ice and strain the mixture into it. Don't worry if a few bits of mint come out of the strainer into the glass - it won't interfere with the cocktail and will add a nice pink & green tone to the glass. Top up with soda water and garnish with a couple of mint leaves. This is the most glamorous of the three and nothing says romance like strawberries and Champagne. The real kicker in this beautiful cocktail is a homemade strawberry simple syrup that's super easy to make and as fragrant as can be. The syrup is great for using on other things too, so if you have some left over, pour it over ice cream or experiment with some other cocktail recipes of your own. It would be a shame to let something so sweet and delicious go to waste! 1. Put all of the ingredients into a small saucepan on high heat and bring to a boil. Continue boiling for 2-3 minutes, stirring slowly or until all of the sugar has dissolved and the syrup is fragrant. 2. While still on the heat, use a potato masher to squish the strawberries, drawing out every bit of juice and stir to combine. (If you don't have a potato masher, use a wooden spoon.) Stir and pour into a container through a metal strainer. Cool in the refrigerator and keep refrigerated until time for use. 1. 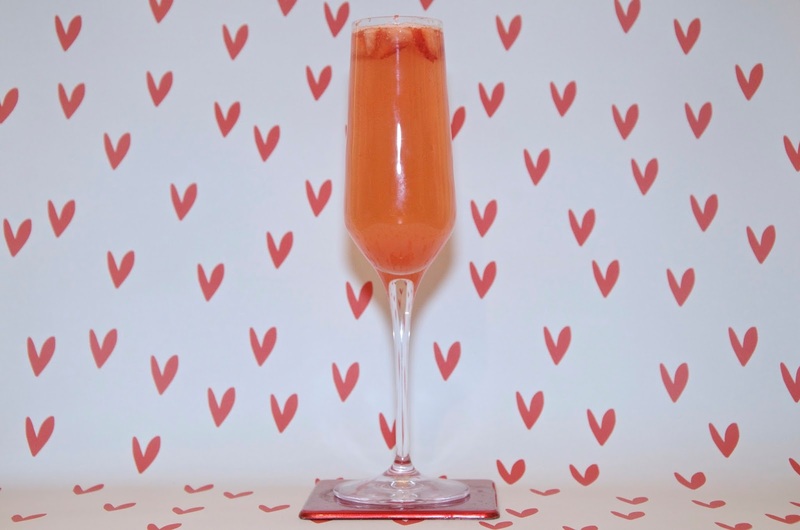 Pour the gin into a Champagne flute and add the Strawberry Simple Syrup. Top up with chilled Champagne or Prosecco. 2. Garnish with diced strawberries. 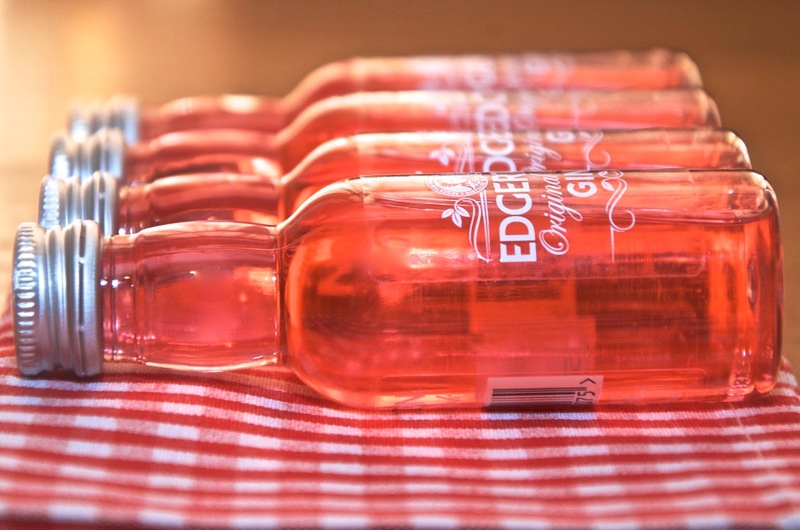 Distilled right here in London since 2011, Edgerton Original Pink Gin contains 15 unique botanicals and gets its blushy pink tone from pomegranate. You can grab a bottle of this gorgeous pink gin at most major department stores across the UK or online via Fortnum & Mason and Harvey Nichols. 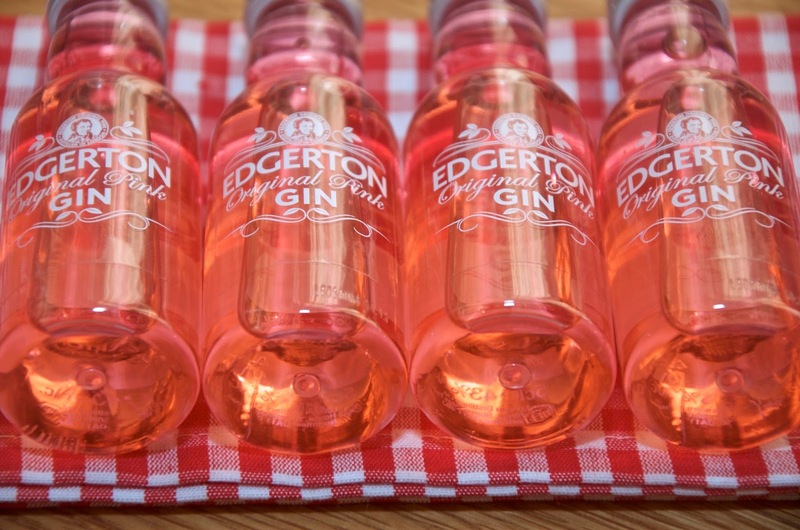 For more information, visit edgertonpinkgin.co.uk.